There are a number of specialist careers in the voluntary, state and private sectors available to graduates from each of our disciplines. Criminology prepares our graduates for work in the fields of probation, policing and the prison service, non-governmental organisations, work in local authorities and offending teams. Recent Politics graduates have found employment in youth and community work, at various levels of government – including foreign ministries and national UN delegations – and in project management within economic development. Career options for our Sociology graduates include social work, policy analysis, policy research, teaching, media work and journalism. The academic strength of our programmes allows many graduates to continue on to postgraduate degrees and academic research. 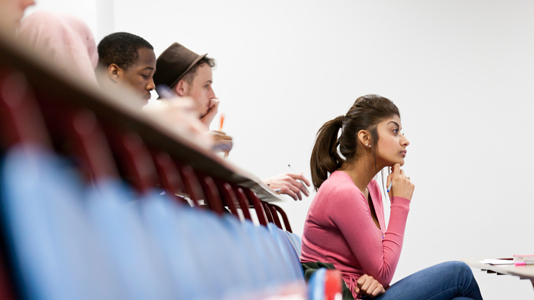 At LSBU we offer a number of applied postgraduate courses linked to our nationally and internationally recognised research activities. In keeping with our applied approach to social and policy studies we run a strong voluntary placement scheme. Through a placement you can contribute to real world situations linked to your subject of interest. Placements can ground your experience of your subject of study, provide confidence and bolster your CV. Search our courses – each entry comes with placement and further careers information.